BPA-Free plastics may not be EA-Free, or safe. 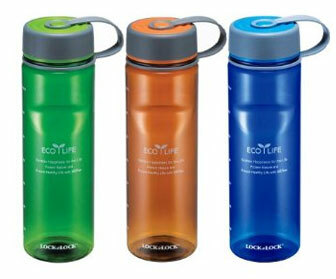 Is your BPA-Free water bottle safe? An article on the Texas Observer website takes an interesting look at the conflict between a researcher and one of the companies his testing exposed. Scientist George Bittner tests a large variety of plastic products, many of them marked as BPA-Free. He isn’t looking just for BPA, he is looking for any chemicals that have estrogenic activity. It’s the estrogenic activities that are of concern when it comes to our health, and it seems that BPA is not the only source of these activities. "Many of the products Bittner tests are marketed as "BPA-free"—a designation he says is technically accurate but misleading. "What we're saying ... is that BPA-free does not mean that the product is free of chemicals having estrogenic activity. BPA doesn't have its effect because it's spelled B-P-A or because of anything other than it has estrogenic and maybe androgenic effects," he said. "Any chemical that has those effects would produce the same problems." In short, Bittner's message is: BPA-free doesn't mean EA-free." His work is not without its sceptics, detractors and enemies, particularly among those companies whose products he is testing. Eastman Chemicals Company is suing Bittner and the company he works for in defense of its Tritan product line. Eastman says Tritan is EA-Free. Bittner says it isn’t. As the article points out, if Eastman wins, that sets an unfortunate precedent. It will lay the ground for companies to be able to say that their products are BPA or EA-free because WE have tested them. It will stifle the ability of outside scientists to publish outside, conflicting results.